The Internet of Things is driving transformation at the intelligent digital edge. It’s the place where data is generated, analyzed, processed, and stored. When planning your digital transformation, we can help with a robust network designed to support IoT functions, including next-gen PoE capabilities. With Black Box as your partner, you’ll be able to integrate the physical world with the digital world resulting in improved efficiencies, greater innovation, and better user experiences. Regardless of industry, today's data centers require a trusted partner with large-scale implementation capabilities and technical expertise to design, deploy, and manage the data center of tomorrow. It's knowing how to plan the data center for optimum performance, how to make all the right connections, and how to build in capacity with the highest performing structured cabling products to support network applications well into the future. To meet current and future data center requirements, escalating data network storage needs, and multimedia communication support, Black Box has the expertise and global footprint to meet your infrastructure needs. Our end-to-end capabilities help businesses administer and operate data centers in one site or hundreds of sites for seamless and transparent operations. 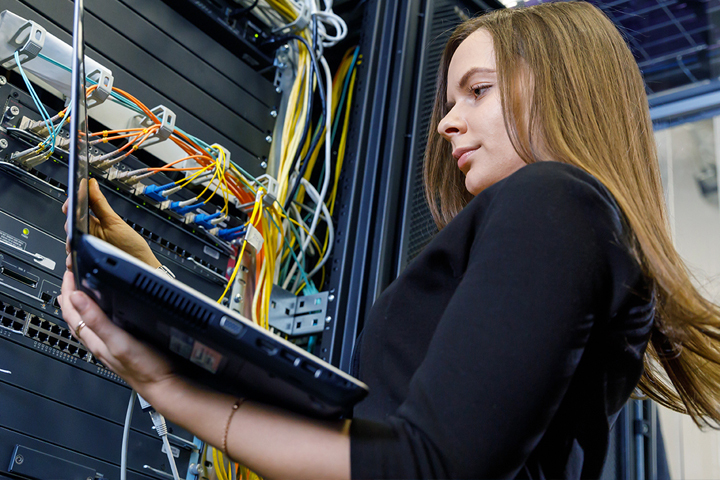 Digital transformation has made your structured cabling system more critical than ever. It needs to support rapid and reliable wired access to information and resources. But it also needs to support your mobile-first strategy by providing connections for the multiple wireless technologies that enable unrestricted mobility, even in challenging environments. With our wide portfolio of network products and solutions, coupled with our deep experience and expertise as well as our nationwide footprint, we can deliver a network optimized to your specific needs.